Five Spanish Conveniences We’ve Fallen in Love With! Can you tell this was “pre-children”?! 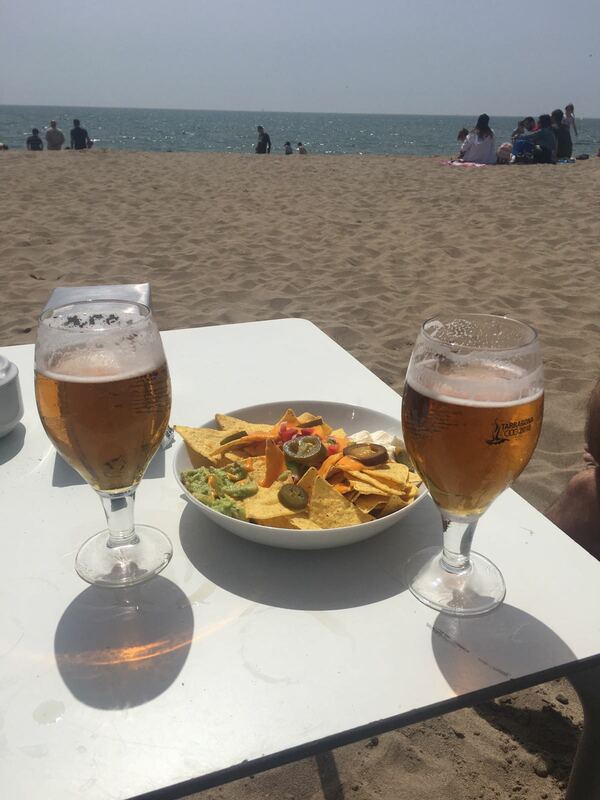 We look back on that trip and recognize it was the first stepping-stone to getting us where we are today – living and breathing life in Barcelona, Spain! The city truly is as romantic, alive, vibrant, inspiring and delicious as we remember Europe to be back then. But seriously, when you’re an expat living with three young ones in a foreign city you need more than a foamy cappuccino and an ancient cathedral (although these mind-blowing masterpieces will forever move me to tears) to make life smooth. It can be the littlest things that have the biggest impact as a family – things we never knew we wanted, until we had them! I’m still not even sure I pronounce this one right, but let’s focus on what is really important here. Three words. BAR. ON. BEACH. Not the kind of bars/restaurants we’re used to in Jersey on an elevated walkway (called a boardwalk) set way back off the water usually requiring shoes & shirts (or no service!). When you have kids, leaving the sandy beach to go to one of these for a beer or pizza is more of a hassle, yes? Packing an enormous cooler of food – also a tad exhausting. The first time friends explained what these Chiringuitos were, I heard angels sing! 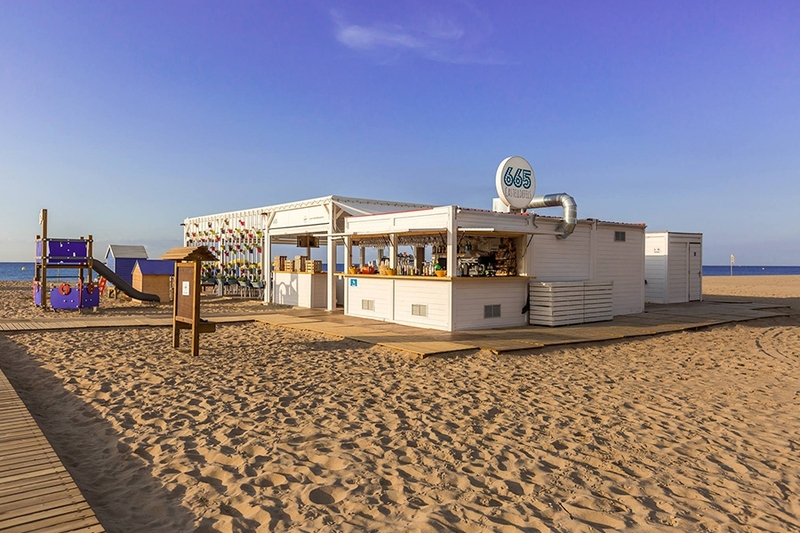 Picture a small covered structure planted only 25 feet from the sea with tables and chairs placed in the sand selling beer, cocktails and Spanish tapas dishes like calamari, patatas bravas, nachos. I didn’t even get to the best part yet….TOYS! Tons of toys, play houses and climbing structures so you can relax and enjoy while keeping your kids happy and safe nearby. Don’t want to stay seated outside the bar? No pasa nada, chicos! (No problem, guys!) You’re welcome to take your food and cocktails to wherever on the beach your crew is sitting, which is a huge NO-NO on most U.S. beaches. I mean, does anything more need to be said about this GENIUS idea?! 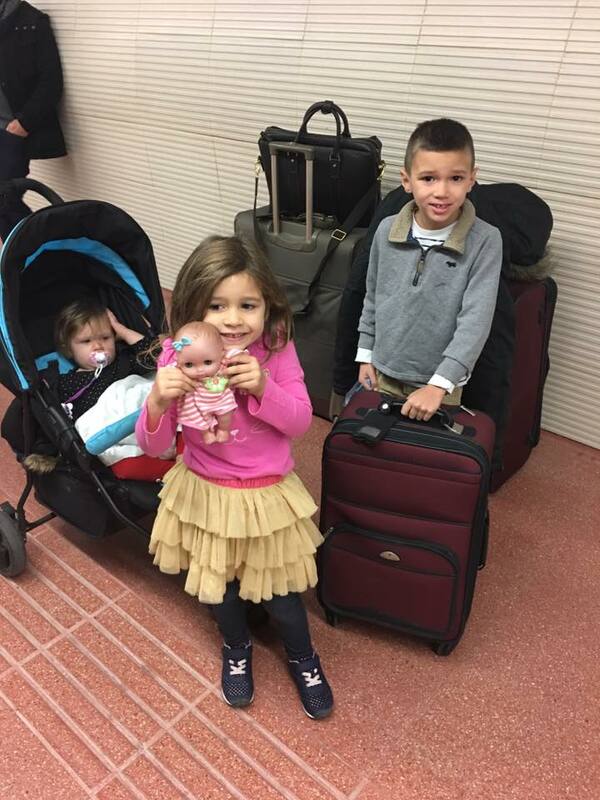 As a family of five spending the day in a city can quickly become pricey! So you can imagine how thankful (and pleasantly surprised) we are to have tons of unique places to go, some of which cost less than a combo meal at McDonald’s! The city’s science museum, Cosmo Ciaxa, is impressive, interactive and intriguing – like Christmas morning for my science loving six-year old who could stare at their giant swinging pendulum representing the Earth’s rotation for hours! Best part – It costs 4 euro for adults and kids are GRATIS (free)! Talk about a full day without an empty wallet. What could be better than an afternoon surrounded by everything chocolate (including your admission ticket)?! At Museo de Xocolata, we were wowed by magnificent sculptures made solely of you know what. Everything from the FC Barcelona Stadium to a life-size Komodo Dragon! Kids under seven go free and adults just 6 euros, which left plenty of money to fill our bellies at the decadent snack bar. 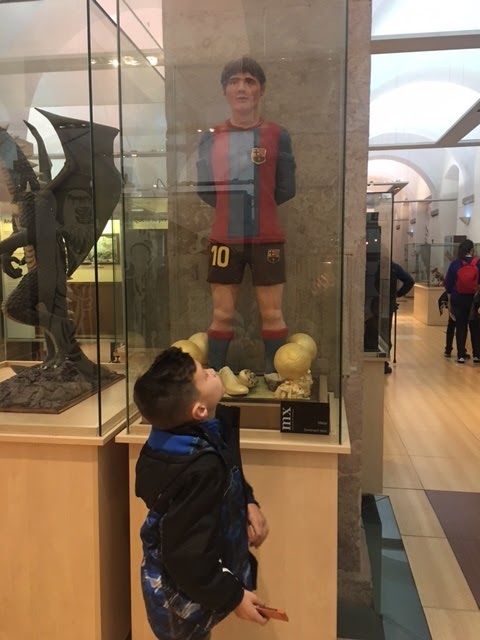 Admiring FCB player #10 Messi made of xocolata! Museo de Picasso houses the largest collection of the famous Spanish artist’s work. Ehem, okay I know what you’re thinking – this is literally the least child friendly outing EVER!! But it’s also a part of the Spanish culture not worth missing and we want the kids to appreciate it. Plus, we try to turn these sorts of afternoons into games! Who can find a funny painting? Who can find a scary one? With Picasso’s quirky abstract style, the kids mostly just laugh at each piece. It turns into a fun day, trust me, but they’re learning too – a nice bonus! And since kids enter free here also, it keeps us parents smiling. 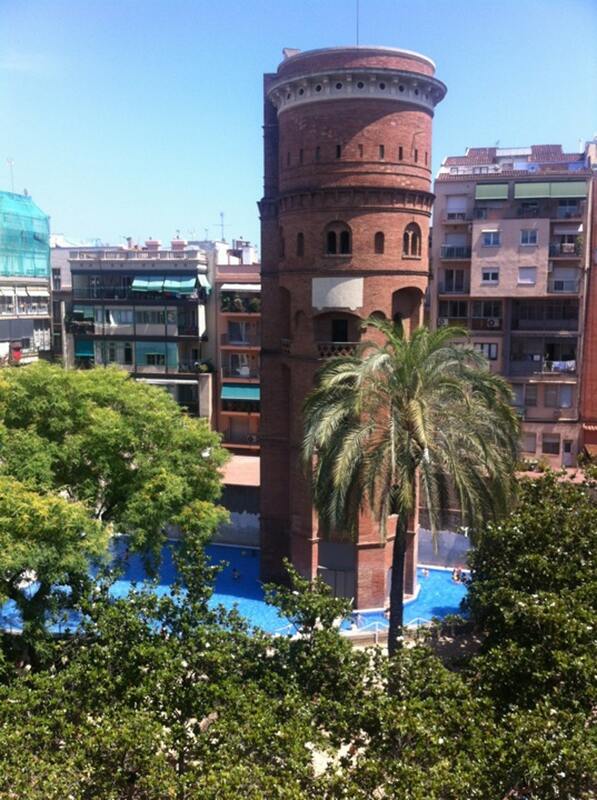 Another slice of heaven here in Barcelona that involves food/drink and play. What more to life is there really?! I’ve walked into countless cafes/restaurants here to grab a croissant or latte and to my surprise found a children’s area stocked with table & chairs, books, toys, crafts. Normally I would take my order “to-go” (which people here rarely do I’ve noticed) to avoid the struggle of keeping three little ones quiet while I have my zen caffeine moment. But these common sense business owners understand if the kids are happy, the parents are happy (and relaxed). And happy parents are returning customers! DUH! Similarly, we’ve found handfuls of restaurants with outdoor seating placed perfectly next to……you guessed it, a playground! I mean, do the Spanish have it together or WHAT?! Have you ever wanted to just throw your arms around an airport security officer and KISS them?! Nope, me neither….until recently! We all know that waiting on line at airport security can be a true test of wills. Now add three children, stroller, snacks, gaming tablets, passports and necessary documents, carry-on luggage (my daughter’s Hello Kitty suitcase falling over for the hundredth time) It’s like dying a slow and painful death, people! Smiling travelers is a priceless thing! The first time we were invited to one of my daughter’s classmate birthday parties, I was excited and…actually kind of nervous! We didn’t know what to expect, who we might meet and what on EARTH to buy for the birthday kid himself. We quickly learned that gift cards aren’t real big here so I racked my brain thinking of the perfect present for someone I had never even met before. I typically love shopping for gifts, but this was one was a little tricky! Until one miraculous day I was informed by another mother about the group gift concept. It’s FABULOUS! Basically, each parent from the class contributes 5-10 euro and with all the money collected, the class will give one BIG gift to the birthday child. Parents appreciate it because of the ease and convenience – it really takes the guess work out. The child loves the WOW factor that comes with opening a big beautifully wrapped present. The gift is opened at the party, the children all cheer and it becomes a real celebratory part of the party! Sometimes less is more, huh?